BIRD is an acronym for Israel-U.S. Binational Industrial Research and Development. 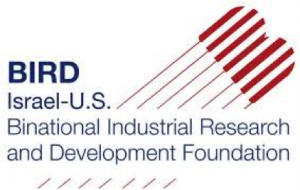 The BIRD Foundation's mission is to stimulate, promote and support industrial R&D of mutual benefit to the U.S. and Israel. Their activities include matchmaking services between Israeli and American companies in the field of Research and Development. BIRD takes no equity in the joint projects and all our services are free of charge. On Tuesday, August 15th at 1p.m. the World Trade Center Utah will be hosting a seminar specifically about business opportunities in Israel. It is in partnership alongside the U.S. Commercial Service and will feature Greg Briscoe, who is the Senior Commercial Officer in Tel Aviv, and directs the Embassy's U.S. export and investment initiatives. The Event is free to attend, and those interested are encouraged to register via Eventbrite here.